It’s my husband’s birthday week, and he is excited to be celebrating along with the release of the Star Wars movie! He is at the movie theater, bright and early this morning, with his brother and a few buddies. I am not really into Star Wars, but I made an exception with wrapping his gift. Since he’s having a Star Wars themed birthday of sorts, and I already had these simple craft supplies on hand, I wrapped his gift to resemble Chewbacca. Have a Star Wars lover in your life? This Chewbacca Inspired Gift Wrapping is easy and uses craft supplies that you probably have in your home. 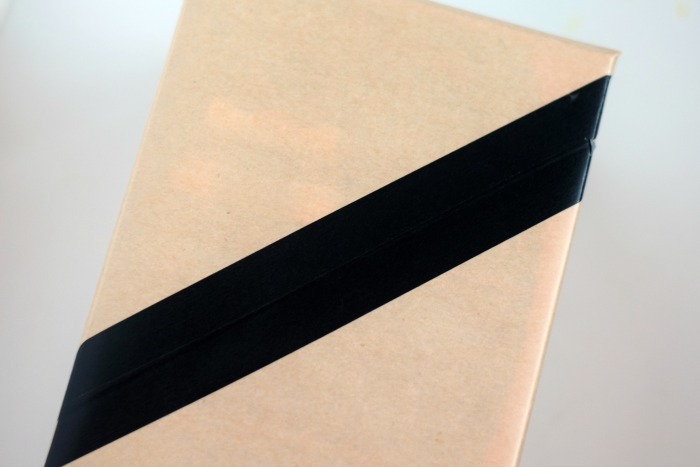 Take the black tape and adhere it across the package diagonally. 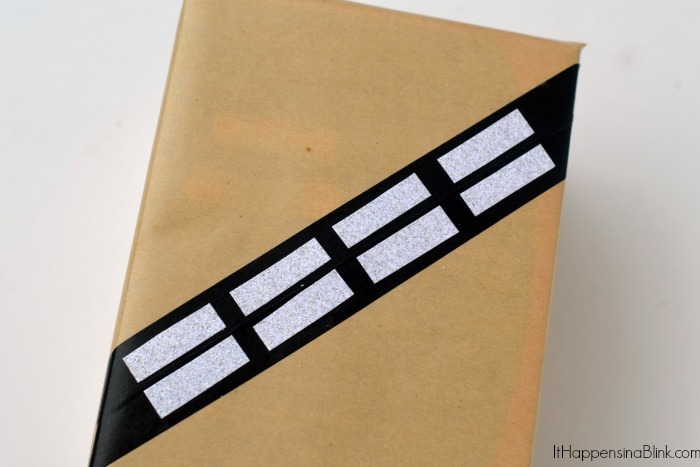 If using washi tape of a traditional size, use two strips. Cut off at the sides of the gift. Cut the card stock into thin rectangles. Gauge how many that you need by the size of your gift. 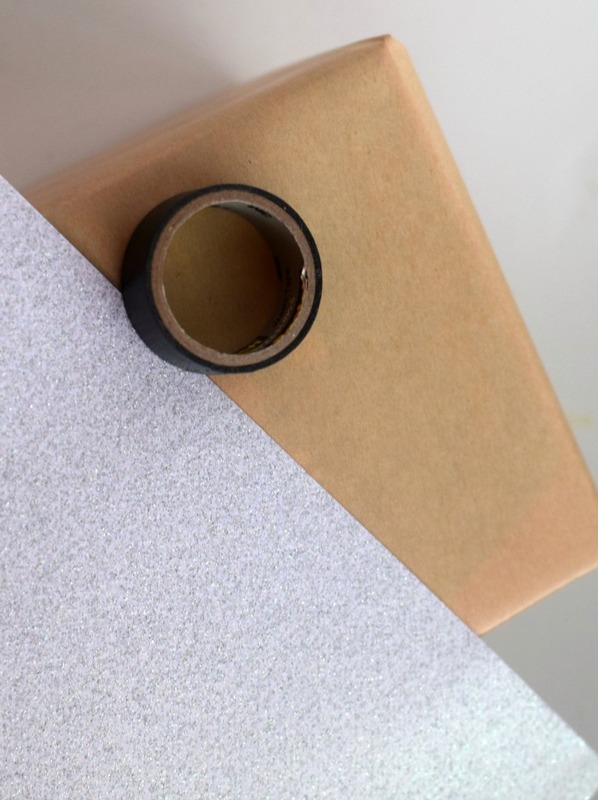 Use the glue stick to adhere them to the black tape. And that’s it! Seriously, I don’t think that it gets any simpler than that! You do not need any advanced crafting skills to be able to pull this off. If you can cut and tape, then you can do this! 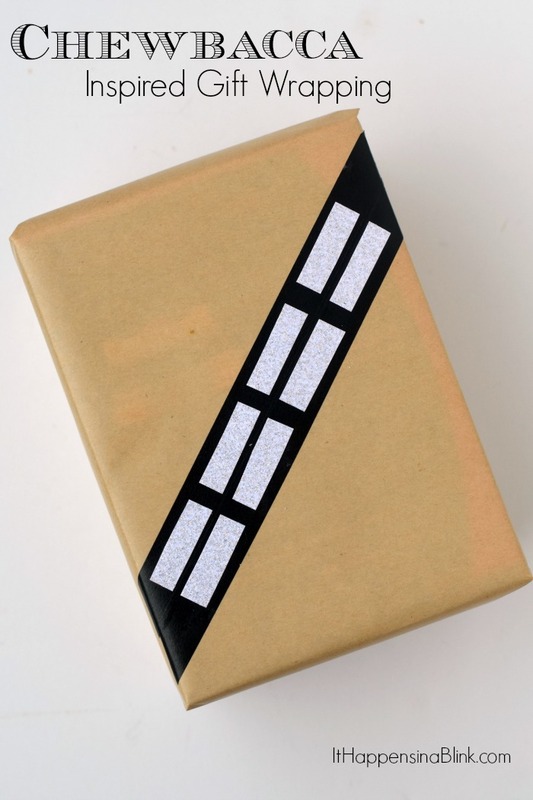 If you have a Star Wars fan that you are gifting to at Christmas, consider wrapping the gift like this rather than using regular holiday wrapping paper. Your recipient will think it’s awesome and probably feel special that you thought of him or her in this way! Who is the biggest Star Wars fan your life? Who is their favorite character on Star Wars? This is a great idea! I will have to remember this for Jay’s birthday in a few weeks, as he loves Star Wars too!